Stone houses showed traces of the oldest settlements in Australia have been found with the foundation stone circle which is said to be 9,000 years old, situated on the island of Rosemary, a national heritage in the northwest of Australia. The research team consists of 14 people from the University of Western Australia (UWA), led by the Director of the Management and Research Centre of UWA Art McDonald. They have excavated 8 stone circle of the floor tiles of a house, showed that each house has separate areas for sleeping and working. House architecture allows researchers to learn about the lives of people living in the house at this time. According to the study, 9,000 years ago, this place is a mangrove forest with Aboriginal people live. At the end of the ice age, sea levels rise rapidly each year about 5-10 meters and at the results they are separated into the island from the mainland. 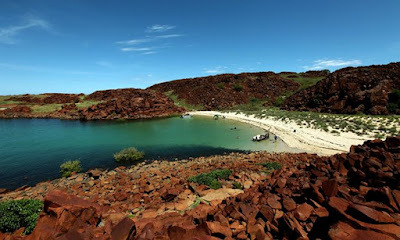 Rosemary Island and other islands around the peninsula are known as Murujuga Burrup. The house is located on a peninsula, where the focus of Aboriginal rock is the world's largest building materials stone is said to be formed in the Archaean Eon period from 2,400 million years ago. Due to the magnitude and historical significance, this area has long been a sacred place for Aboriginal culture locally. 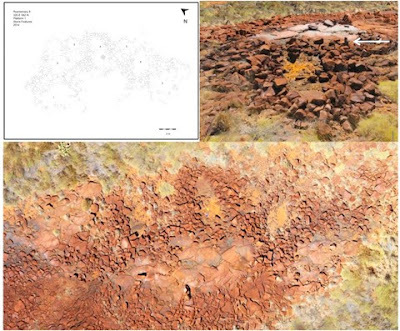 This discovery is not only is the breakthrough discovery of science but also an evidence of human work in Murujuga from 21,000 years to 50,000 years ago of the Aboriginal community.